Did y’all know that September is National Hazelnut month? Neither did I, but I’m so happy I found out about it! What delicious Liqueur is made with Hazelnuts and comes in a bottle shaped like a monk? 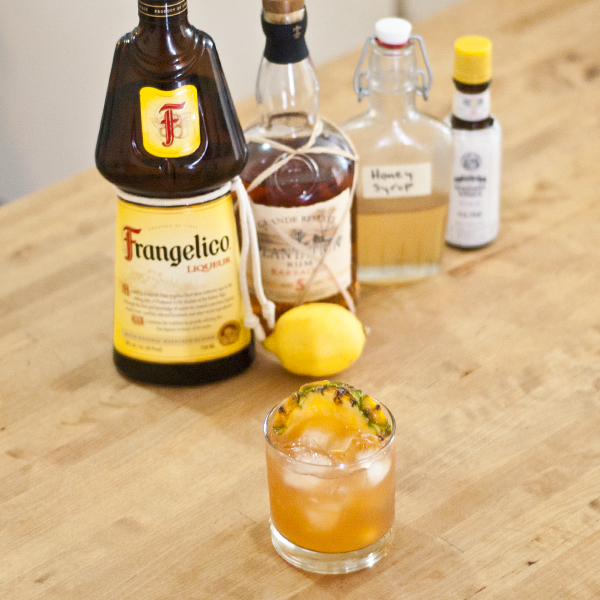 Frangelico! 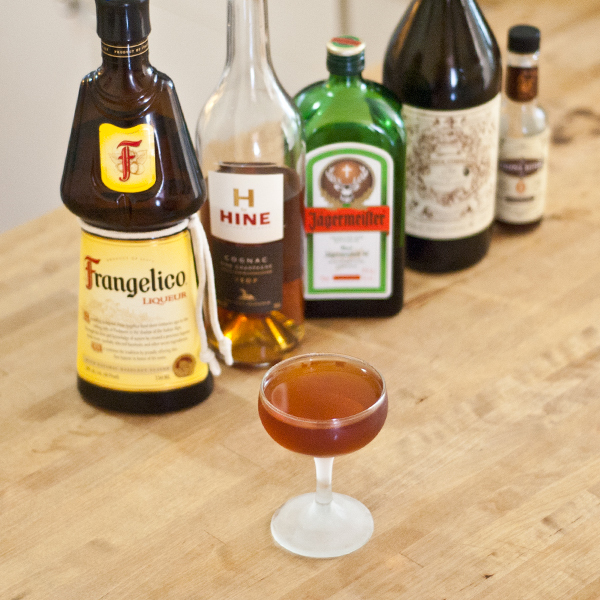 Frangelico has been leading the charge to get the mighty hazelnut on our collective consciousness. This liqueur hails from the Piedmont region of Italy, using inspiration from centuries old recipes. It has warm, sweet prominent Hazelnut notes, followed by Vanilla, and Cocoa. Let’s get to the cocktails! I decided to start with a Rum sour cause to me, Nuttiness + Rum = hell yes! 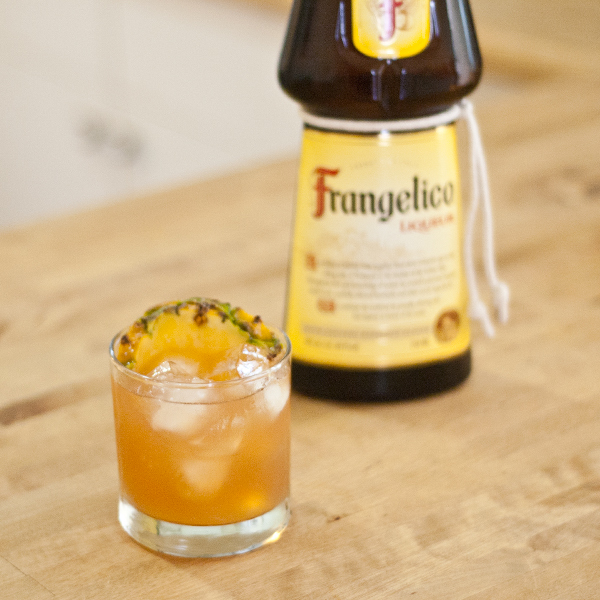 I didn’t want to go full Tiki, but the Pineapple wedge gives a little island feel to the drink. Combine ingredients over ice and short shake. Strain into double Rocks glass with ice. Garnish with Pineapple wedge. Next I decided to get spice-y and desert-y, cause I had a feeling that Frangelico + Jägermeister + Carpano Antica would be a great flavour set. It was. It was such a great flavour set that I keep thinking about it. 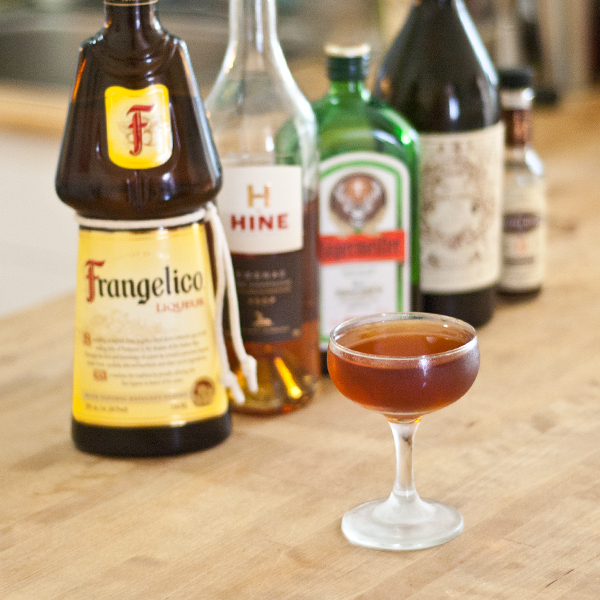 To dry things out, I added Hine H Cognac as the base and topped it off with a couple dashes of Scrappy’s Chocolate Bitters. DESSERT! Combine ingredients over ice and stirrrrrrr. Strain into chilled coupe and serve. Cheers to MBooth for including me in National Hazelnut Month!